P.A.P. – PAY & PAY. S.P.P. – SO, PLEASE PAY. W.P. – WHY PAY ? S.D.P – SO, DON’T PAY. N.S.P. – NOBODY SHOULD PAY. Perils of only reading TOC/ Will Ravi change mind again? A little light entertainment with a nasty dig at the NSP and its president. Reading only TOC and other anti-PAP new media outlets can make an otherwise intelligent person look silly. Mrs Chong-Aruldoss (I know her) representing the Chiams’ Party (Yip it’s her blood, and that of P Ravi,that the Chiams are feasting on to keep alive) questioned why the findings of the AGO’s annual audit on public agencies were “met with muted responses” from the Government. Huh? The constructive, nation-building media* were full of reports. And from personal experience, I know, govt bodies work themselves into a frenzy whenever the AGO criticises them, unlike the WP who are as yaya papayas as Amos Yee, when the AGO ticks it off; saying it accepts that the AGO is professional and independent. but then gives it the finger by ignoring it. In govt departments and agencies, not being mentioned by the AGO is an impt KPI for senior officers. 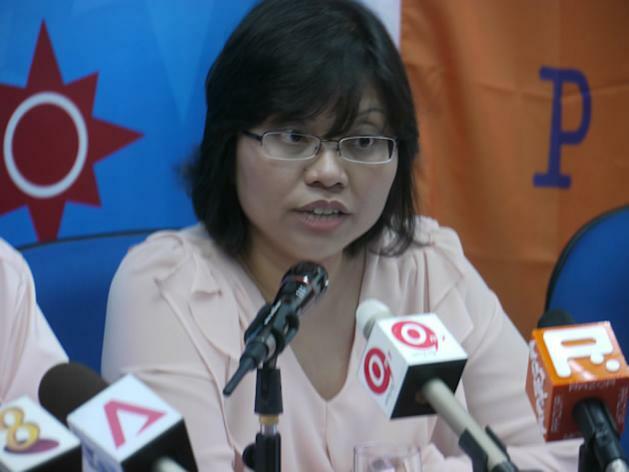 Ms Sim from the PAP rightly pointed out that the agencies’ reactions have been swift after the report was released. They have owned up to lapses and cases of non-compliance, and have taken action to rectify the lapses. All the monies were accounted for and no public funds were lost. *Here’s a story about that parachutist extraordinaire (Three GEs, three GRCS, three different parties): A few yrs ago he criticised the mainstream media for biased news reporting of a non-political story. I emailed him, saying that actually the ST carried a very fair report, it was MediaCorp that didn’t. He emailed back saying he only read the free stuff. And blogged on that basis. I lost all respect for his views after that. Will M Ravi change mind again? Later today, we’ll know if he will really be standing in GE 2015. When I read that M Ravi was in the RP’s line-up for AMK, I couldn’t help but think that he joined the wrong party. Given the flip flops (think the decision to stand in Fortress Kate Spade and the strange issue of rowing over a permit http://www.theonlinecitizen.com/2015/03/nsps-back-track-on-presidential-appeal-in-need-of-reason/) of the No Subtance Party, he’d be really suitable to be a candidate for the National Stupid Party whose president claims that it was the fault of his lawyer and banker that he once a upon pleaded guilty to charges of corruption. However as a young man with no legal experience, I took the professional advice of both my lawyer and bankers, who explained that as this was a technical breach of the law, it was far simpler to plead guilty, pay the fine and move on with life. I remember clearly the urge to stand up and clear my name in court, as the charges not only frightened me but also went against every grain of what I stood and stand for morally. However, I deferred to the advice of my legal and financial advisors. In hindsight, I wish I had not done so. Sorry for the digression. Back to M Ravi. Earlier on 12 August M Ravi had said he wasn’t standing as a RP candidate in AMK*. And earlier this year, Ravi announced that he planned to stand in AMK, fielding a team of independents including New Citizen Han Hui Hui. He then said he had allocated $1m to fund the campaign, will this money be available for RP’s fight in AMK? 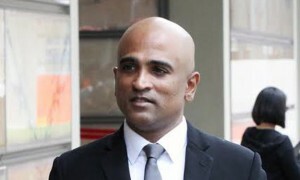 In February this year M Ravi, publicly said ” he has set aside $1 million, saved over the years, for his campaign” – See more at:http://news.asiaone.com/news/singapore/opposition-veteran-lawyer-take-polls-position#sthash.ox58eIpv.dpuf. He planned to take on the PM in AMK GRC in the next GE, if the s/o JBJ’s party didn’t contest AMK. –. surely his relatives will vote for him? “He said he picked the six-MP constituency because 25 per cent of its residents are his relatives, saying he has Chinese and Indian roots. The GRC had about 179,000 voters in the last polls. – See more at:http://news.asiaone.com/news/singapore/opposition-veteran-lawyer-take-polls-position#sthash.ox58eIpv.dpuf It seems Ravi has a low opinion of his many AMK relatives seeing that he plans to spend so much money. Surely, they’ll vote for “kaki lang”, “countryman” for free? Following my presence in a recent walkabout in AMK GRC with the Reform Party (RP) and a short interview I gave, speculation has been rife that I will run as a candidate for the RP. I knew Mr J B Jeyaretnam, the founder of the RP, both as a friend and a colleague at the Bar. He was a man who always fought for the common man and dedicated a life of service to his fellow man. I am indeed honoured to have worked with him. He set up the Reform Party before his passing and it’s indeed wonderful to see his work and vision carried on by Kenneth in trying circumstances. I am grateful that Kenneth allowed me to volunteer my services in some small way. I have seen his dedication and commitment to the people of AMK GRC. I see the same spirit in Roy Ngerng in wanting to serve the people and being the voice for the under-privileged in society. I have been a lawyer for 18 years and I have always tried to serve my clients to the best of my ability. It’s a calling I take very seriously. These few days, I have given considerable thought as to what my role and service to society must be. It is to the calling of service to the legal and judicial system but most of all a calling of service to my clients who depend on me to fight for them. It is therefore prudent and crucial that I continue to maintain my focus on this and serve my clients diligently when I resume my legal practice shortly. It is here that my focus and service must lie. Accordingly I have decided that my service now is best rendered in this role. I thank the Reform Party for allowing me to witness its work and outreach up close. I wish them, and Roy Ngerng, well in their service to the public. WP, NSP scared of Kate Spade? Update on 22 August at 6.30am: Obviously NSP He-man Steve Chia is not afraid of losing to Tin, having persuaded the NSP to change its mind on contesting here. Can we expect to walk-about dressed in a bikini brief only, showing off his abs and challenging Tin to show off her post natal abs. Tin Pei Ling is raring to rejoin her team in gearing up for the contest in MacPherson in the upcoming General Election. Speaking exclusively to 938LIVE, she said she will nevertheless complete her one-month confinement period, after giving birth to a baby boy, Ng Kee Hau, on Aug 5. Ms Tin said even now it is business as usual, as she is maintaining close contact with her team in the constituency. She hopes that the residents at MacPherson will understand her month-long absence. “(I) hope that residents will judge based on past experience, past work done, as well as looking ahead, I hope that they will continue to let me have this opportunity to serve them, continue the work that I’ve been delivering for them,” she said. Ms Tin also said she is ready to face a contest in MacPherson. “My mission right from the beginning is to serve my residents, that has always been the case. So most part of my energy, my mental and physical energy, will be focusing on making sure that the day to day issues of my residents have been taken care of. MacPherson is well run, so whoever comes to contest in MacPherson, we will just roll with the punches and prepare accordingly,” she said. If the cybernuts are to be believed, even Goh Meng Seng (the movement’s founder and once their hero but now considered by even cybernuts to be a zero) can trash Tin Pei Ling if he stands in MacPherson. Obviously going by their recent decisions regarding the SMC by the WP and NSP, the WP and NSP never consulted the cybernuts. 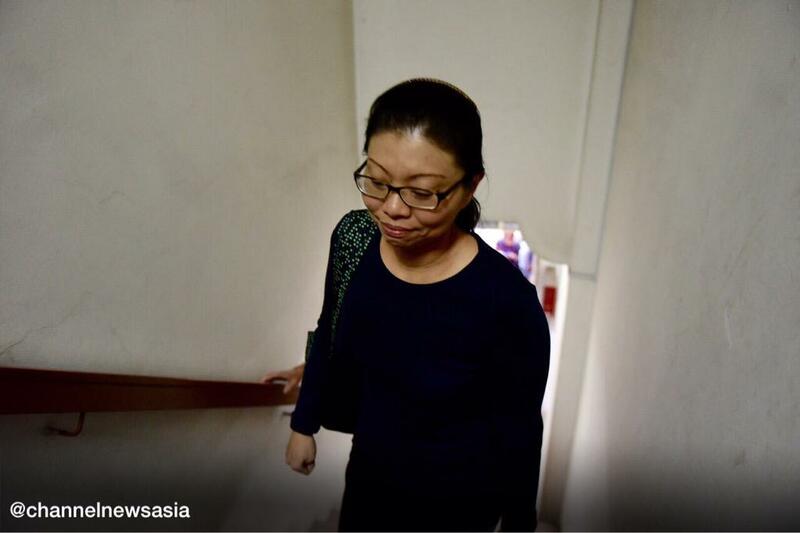 Sylvia Lim explains why the WP did not attend the opposition meeting on Thursday. She says that her party had offered to let the National Solidarity Party contest Macpherson if the latter withdrew its intention to contest Marine Parade. Funny that they were prepared to give away Macpherson while wanting to fight in Marine Parade. There is a 14 points gap to overturn in Marine Parade, two more than Aljunied in 2011. If Tin is so easy to beat, shouldn’t the WP prefer to contest a winnable SMC? WP knows can’t win in thisSMC? And now NSP double confirms the view that Tin is unbeatable, by not wanting to contest in this SMC. It could have challenged Kate Spade with u/m in Macpherson, but didn’t. I hear a lot of apeks in area upset she isn’t standing. Seriously, before the WP came out with the above statement that it was willing to “give” Macpherson to the NSP, my Facebook avatar posted (when someone was making fun of Kate Spade): TPL will win. She’s a very good foot soldier PAP MP i.e. social welfare worker. Area is traditional PAP stronghold. And given the large number of older, less well off S’poreans here, the Pioneer Gen goodies will have an impact. If the PAP had two social welfare worker MPs in Aljunied in 2011, the result would be different. Instead it had two women from hell. One was union bureaucrat, other was rich in her own right. Someone seconded my avatar saying: My old neighbours said who live there now view her in a new light. She’s bern working doubly hard and going the extra mile. Double confirm: even the No Substance Party ignores the cybernuts. And do remember Goh Meng Seng left the WP because it wasn’t happy her was going nuts in cyberspace: rowing in cyberspace. I wondered who was the the pretty, executive type sitting in front from Jeannette Chong? And wondered if NSP was about to unleash another pretty face. Here’s a better shot of her, taken on another day. Turns out she’s Hazel Poa who looked like this the last time I looked. I think I’d have asked the young Hazel for a date in preference to asking Kervyn. I hear that Hazel is recovering from an illness. Looks like she’s recovering her looks too. All the best to her and her hubbie Tony Tan. But bear with me first on the LTA and Uber and other taxi apps. The PAP administrationis afraid of losingrevenue from CoEs is the reason why LTA is creating its own taxi apps and making life difficult for Uber etc? Because of Uber and other such apps, “Millions of people may decide that they no longer need to own a car because using Uber will be cheaper than owning one.”? This was said by Travis Kalanick, chief executive of Uber, on a new round of financing which values Uber at US$40m. (A reminder of what LTA has done. [A]nnounced plans to put its own taxi app into the growing market just after it announced regulations for the existing players in the industry. The app, Taxi-Taxi.SG, will launch in mid-December, and will show commuters the number of available taxis near them, as well as signalling to taxi drivers the locations of potential customers. No details on app charges have yet emerged. The Singaporean market already has t… Uber, local competitor Grab Taxi, and a number of apps from the individual taxi firms and smaller companies. These apps are free, but charge customers a cut of the taxi fare. The plan comes as Singapore announced a new regulatory framework for private sector taxi apps, which are transforming an old-fashioned industry into a fiercely competitive and lucrative marketplace. The regulations mean that all booking services must be registered with the LTA, specify their fees upfront, provide customer support services and prevent bidding on nearby taxis. Somewhere in the mix of measures, the govt commended the LTA for its use of big data analytics to monitor travelling patterns and demand from commuters.“With this insight, LTA was able to perform targeted injection of bus capacity, which saw a 60 per cent reduction in the number of bus services with persistent crowding in spite of year-on-year increase in average daily bus ridership,” LTA. Well if the data had been publicly available (and not confined to LTA, the transport regulator), perhaps the public good would be better served. PM talks big about the use of big data analytics in developing S’pore. But my impression is that in S’pore, unlike in the UK, the data is only available to the right people: govt, state agencies and GLCs. In the UK and the West, big data is publicly available so that anyone can access the data to make sense of it, or develop apps, or both. But if that happens here, the PAP administration will no longer have the monopoly of the data that is needed to formulate policy. Oppo parties like the SDP, NSP can come up with detailed policies based on the data. Now that would be a problem for the PM who has said the opposition have not articulated a vision for Singapore. This is untrue. The SDP published Dare To Change: An Alternative Vision for Singapore in 1994. Dr Chee had also recently described a new vision for Singapore in an op-ed published in the Wall Street Journal. Mr Lee ignores these and claims that the opposition has not articulated one. But more than just a vision, the SDP has laid out concrete and comprehensive alternative policies in key areas such as housing, healthcare, population, the Malay community, education, Ministerial salaries, and (soon-to-be launched) the economy. The SDP’s campaign for the next GE will focus on these alternative policies. The SDP, NSP and TJS’s gang have come up with policies: the problem is that lackof access to basic data (something often available in the West but not here despite S’pore being a first-world state) makes their policy papers little more than motherhood statements. Thinking about it, the PAP should treasure the Worthless Party, not rubbish or fix it. All it wants is to check the PAP administration, something where the WP talks the talk but doesn’t walk the walk, and hopes that the PAP needs it as coalition partner. If the PM can’t live with this, what does he want? A PAP dictatorship? Even LKY never went that far. He juz he made sure he won big in elections, something son has a problem doing.